A study of cooperative efforts in the high-tech industries of Europe. Sandholtz examines why collaboration came late to these countries, how protective walls came down, how countries work together in economically sensitive areas. Governments have recognized for decades the dynamic role played by microelectronics, computers, and telecommunications in the modern economy. 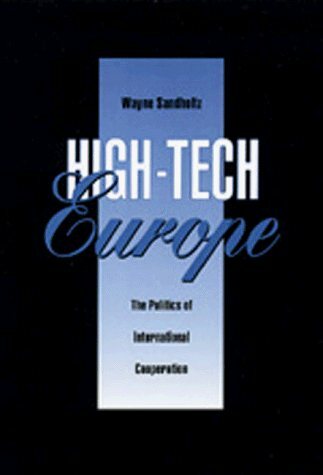 Although Europe's deficiencies in these crucial sectors had long been acknowledged, it was not until the 1980s that European nations began collaborating to develop and promote high-tech industries. A concise account of the intellectual origins, history, and basic values of democratic systems of government. The book covers rights and responsibilities of citizens, free and fair elections, the rule of law, the role of a written constitution, etc. These essays from a diverse group of distinguished contributors deepen our understanding of the new national security threats posed by terrorism, by the proliferation of weapons of mass destruction, and by the spread of Islamic extremism.